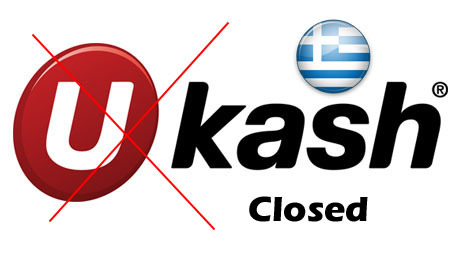 Ukash close their service in Greece due to Financial lose because in Greece the most useable service for online payment is Paysafecard Peoples used paysafecard for mostly betting purposes and it’s easily available every where like Carrefour, Shell, Anek Lines, Minoan Lines, Autogrill, Masoutis, Market In, Bazaar, Dia Hellas, Hellenic Seaways & Revoil and in greece Payzone Hellas is the number one distributor of Paysafecard in Greece Payzone have 11,000 POS terminals all around the greece. so that’s way peoples was not taking interest in Ukash and they closed services but GlobelMoney is a Affiliated with EU Financial Authorities and we are covering Europe, Asia, & Globally except of some countries that’s way we can still provide Ukash in Greece. for any further information you can ask to our GlobelMoney Support Center by mail : support@globelmoney.com.